Taking a few moments out of the day for self reflection can be a grounding part of a mindful tech + life balance. 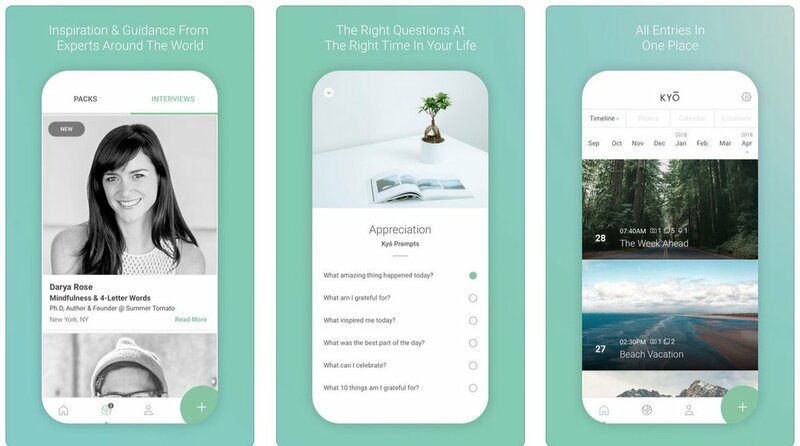 The KYŌ app is aiming to do just that; their goal is to guide users to personal daily reflection through journaling and words of wisdom. 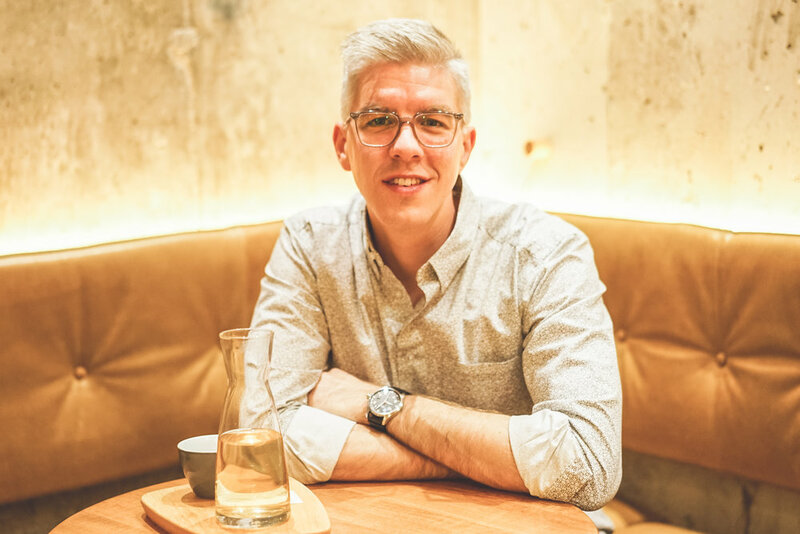 We spoke with KYŌ co-founder, Marc Champagne, to learn more. As its name suggests, KYŌ – a Japanese word for today, this day – is all about stimulating reflection in the present day. Whether that be through the content and prompts from our experts in our iOS app, or through stories and practices shared through the KYŌ Conversation podcast, the goal is simple. We want to show people that’s it’s okay to prioritize the health and fitness of their mind, just as they do their physical body. What is the goal of KYŌ? Our goal is simple, to stimulate daily reflection for the individual. Because an individual who is grounded, clear-headed and focused is [one] who can perform at the highest levels, and make an incredible difference in the world. By helping one, we hope to help many. The ideas that power KYŌ have literally been around for thousands of years but the vehicle and the way we are talking about mental fitness is totally new. It’s critical that the language around mental fitness is positive, so that it allows people to open up and be comfortable trying new practices for their mind. What inspired you to create KYŌ? I’ve had a reflective writing and morning practice for 10+ years so I’ve seen first hand how beneficial guided journaling and self-reflection can be. I was always frustrated with the digital solutions that were available. Something was always missing for me. I would spend time fueling my mind with rich content but never had a way to seamlessly tie that content in with my own reflection. The more I read, listened and watched, the more obvious the theme. All of today's top performers are asking themselves very powerful reflective questions throughout their lives. If you think about it, our life is a series of questions and answers. Where do I want to live? Who do I want to spend my life with? What makes me happy? What’s making me worry? So, why not combine the inspiration from experts that we all learn from in a platform that allows to reflect, release and grow all based on the guidance from these powerful questions? I then sent an email to my brother-in-law asking if he’d be interested in bringing the concept to the market. The rest is history––and the journey ahead excites me each day. How do you see this app contributing value to the mindful technology community? We want to allow for mindful moments to happen anywhere people are. We have a phone with us the majority of the day and we want to leverage this piece of technology to better our user’s mind, day and life. KYŌ relies on strong collaborations with other awesome individuals trying to make a difference. What I’ve noticed along my own journey is that the practices and benefits are endless. We want to provide a platform not only to help users realize the benefits of reflective writing, but through our content and experts, unlock a whole new way of thinking. What advice would you give others who are trying to build technology for a better world? My biggest piece of advice would be to enjoy each day of the journey and to see each day as training for the next. It sounds cliché, but you really need to have a strong purpose––a purpose that runs through you to your core. Something that if you don’t take action you can’t sleep, you can’t get this idea or mission out of your head. I say this because the journey will be challenging. Each day is full of ups and down but if you’re working on something bigger than yourself, it will help you to power through. Also know that the ecosystem, the investors and incubators are only just starting to form. In my opinion, the current ecosystem to support organizations and technology with a mission to make this world a better place is outdated. How do you personally create a tech / life balance? We’re living in a very interesting time when it comes to mindful technology. On one side, much of our stress is a direct result of technology and a massive volume of content. In contrast, there are beautiful health benefits because of technology. I don’t actually think the technology is what is causing us stress, but more so our relationship with technology. I love everything technology has to offer, but I’m in control of my phone and apps. The only notifications I receive are designed to fuel my mind and body. The first screen of my iPhone are apps only related to mental and physical fitness. I have to swipe three screens deep to even come close to any social media apps. If we can reframe our relationship with tech, then we open up a whole new world, a world of beautiful benefits. What does mindful technology mean to you? Any technology designed to help you be present; to really experience what is in front of you today. What can we expect next from you and how can people follow along? You can expect more content designed to fuel our user’s minds each day, bigger partnerships to help expose and unlock the benefits of daily reflection along with very personalized journeys for what people personally need today. KYŌ is available on the App Store. Find out more about KYŌ by checking out their website.